As you may know, the human body requires a number of different vitamins and nutrients in order to function to the best of its abilities. Failure to obtain these vitamins and nutrients in the appropriate amounts can result in some negative consequences. One of the more important, yet under-consumed vitamins is Vitamin C. Looking to learn a little bit about Vitamin C? This blog post should have all of the important information you need. Vitamin C is vital for a number of different reasons. Not only does it aid in iron absorption and help to heal wounds, it reduces cholesterol and protects against heart disease as well. Below, we’ll review the potential negative effects of not ingesting enough Vitamin C.
One of the most common effects of Vitamin C deficiency is severe fatigue. Individuals who don’t ingest enough Vitamin C are often found to be irritable and exhausted. Fortunately, these effects can be quickly eliminated with just a few days of adequate Vitamin C consumption. Severe vitamin C deficiency is often accompanied by a disease known as scurvy. Scurvy has a number of negative health effects, one of which is loose teeth. A lack of Vitamin C can cause the gums to become inflamed and infected, weakening the roots of the teeth. 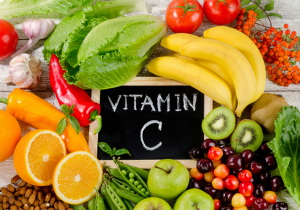 Vitamin C is responsible for strengthening connective tissue within the body. When the body doesn’t receive enough Vitamin C, this connective tissue cannot be strengthened. The result of this? Painful and aching joints. Because Vitamin C aids in the process of iron absorption, you will often find that those who are deficient in Vitamin C also suffer from iron deficient anemia. This disease results in excess bleeding, brittle fingernails, chronic headache, and general fatigue. Along with a few other vitamins, Vitamin C is vital in the growth and development of bones. Therefore, if you don’t meet your daily Vitamin C needs, you could experience severe bone mass loss. This is particularly true for children. Vitamin C can be found in a variety of foods. Most commonly, it is found in fruits and vegetables. However, it can also be obtained through fast-acting and effective supplements. Specific fruits that are known to be high in Vitamin C include cherries, kiwis, lemons, cantaloupes, mangos, pineapples, and watermelon. Unfortunately, many individuals do not consume these fruits on a regular basis. This can lead to a fairly high level of Vitamin C deficiency. Vegetables that are high in Vitamin C include cabbage, brussels sprouts, broccoli, peppers, and sweet potatoes, to name just a few. Again, because many of us don’t consume these vegetables on a regular basis, Vitamin C deficiency is fairly common. If you don’t want to have to worry about including particular fruits and vegetables into your daily diet, you can simply make use of Vitamin C supplements. These supplements only need to be taken once a day, after which you can go on living without any worry. If you’re deficient in Vitamin C, we highly recommend taking Vitamin C supplements. Searching for Vitamin C Supplements in Chicago and Olympia Fields? Are you interested in using Vitamin C supplements? Looking for high-quality, fast-acting Vitamin C supplements in Chicago and Olympia Fields, Illinois? You can find them here at the Feely Center for Optimal Health. We offer two types of Vitamin C: Ultra XL C 1000 and Ultra Chewable-C. Both of these supplements are designed to provide you with your daily Vitamin C needs.